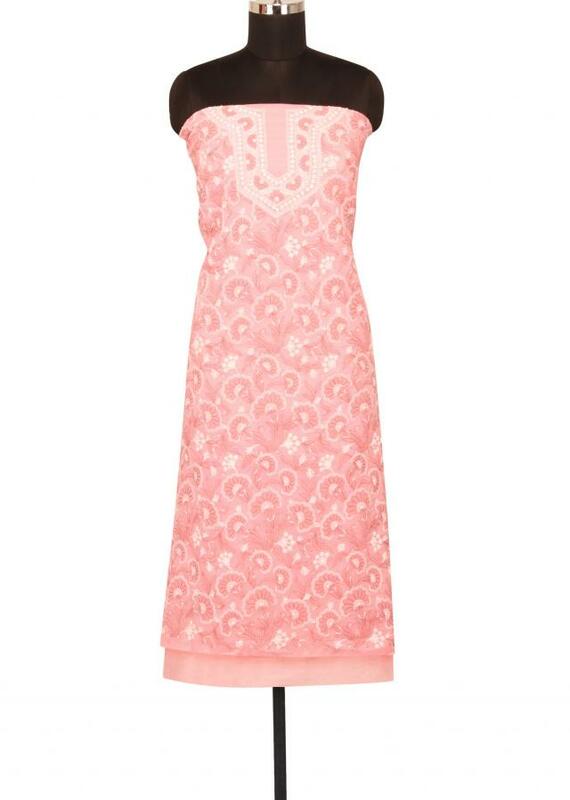 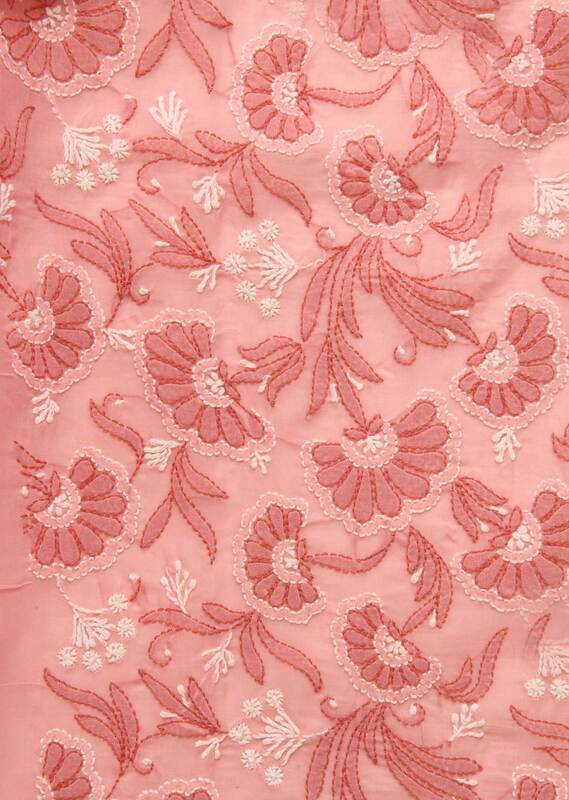 Pink woven unstitched cotton salwar kameez, featuring a lucknowi embroidery. 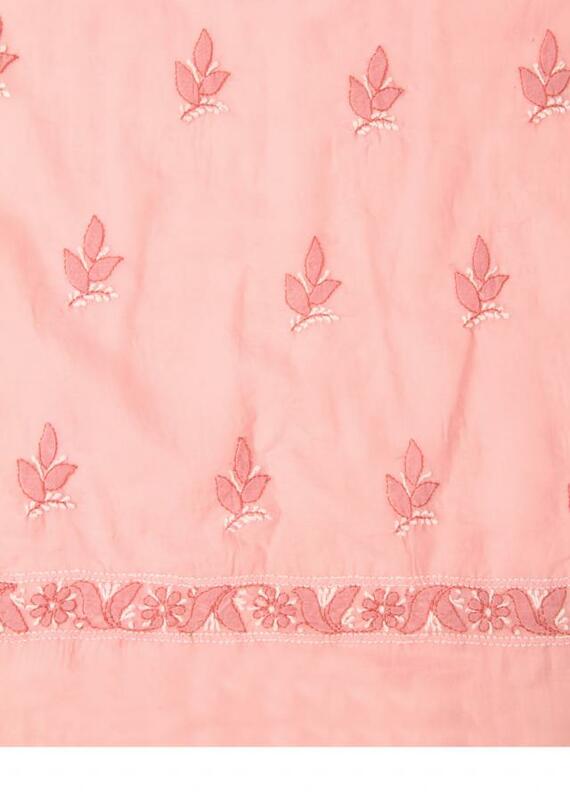 cotton salwar with chiffon dupatta. Pink cotton suit with subtle lucknowi work, a combination you can never go wrong with.